Our certified exhaust cleaning in Nashville, Tennessee is heavily sought after. ​Your commercial kitchen exhaust system is the life blood of your restaurant, so proper maintenance is critical. 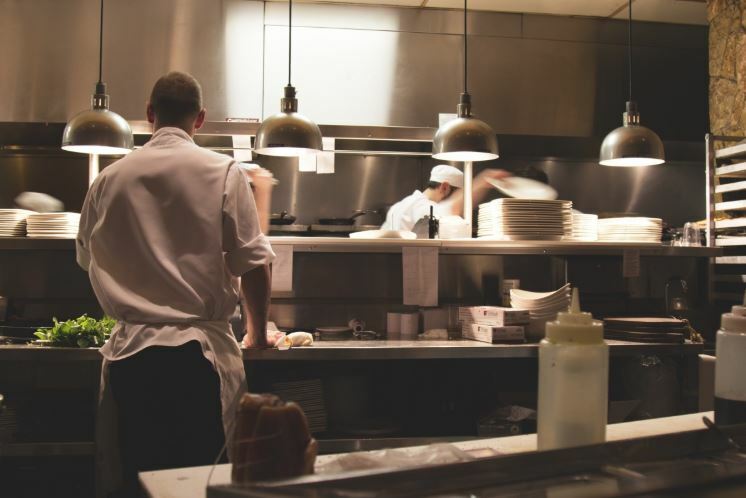 Constant cooking leads to dirty equipment, grease build up, and system malfunctions that could burn your restaurant to the ground if not properly maintained. You risk damage to the exhaust system, the kitchen equipment, the room itself, and the building, not to mention the loss of business when you’re forced to shut down for weeks to repair everything. Prevention with a simple kitchen exhaust cleaning is the best way to avoid those costly mistakes - call (615) 235-0547. What Does a Kitchen Exhaust Hood Cleaning Entail? Nashville Hood Cleaning offers a lot of value with our kitchen exhaust cleaning service. Because every business is different, we start with an evaluation of your needs. After you schedule an appointment, we stop by for a walk-through and a detailed estimate. We start by performing a thorough inspection of the kitchen exhaust hood system and the room itself. As a side note, our team is made up of retired health and safety inspectors and experts in the field, so you’re in great hands. Next, we’ll walk you through our recommendations one by one from cleanings to repairs, modifications, and fire safety suggestions. Along the way, we’ll educate you on the reason for our suggestions and what it means for you. If a potential repair or modification can wait, we’ll let you know that too. You can expect a courteous team that’s smart, swift, and shows respect for your team and property. After our review, whatever course of action you’d like to take is up to you. Let us know and we’ll proceed accordingly. No pressure, no rushed decisions, nothing to worry about. We’re here to help. If we clean your hood system, you’ve got nothing to worry about during your next inspection. We power-wash everything with safe sanitizing solutions to ensure all bacteria and grime is removed, leaving the area spotless. We’re acutely aware of everything that inspectors look for during their analysis, so we’ll handle everything ahead of time. Then, you can rest easy knowing that your kitchen is ridiculously clean and in perfect shape to keep on cooking. The frequency of your commercial kitchen exhaust system cleanings is contingent upon the kind of cooking you do and your insurance. Restaurant cleaning schedules can vary from quarterly to yearly. The more deep-frying you do, the more frequent you’ll likely need to clean it. Additionally, insurance companies and the city health department often provide specific requirements above and beyond what one might normally expect. Failed state inspections bring serious penalties and shut down restaurants quickly, so it’s best to be proactive where possible. As a professional exhaust cleaning company, the Nashville Hood Cleaning Pros are here to assist you in maximizing the cleanliness and efficiency of your kitchen operations. If your employees have scrubbed off as much dirt and grime as they can and it’s still a problem, get in touch with us. We love to clean. We’ll get the job done right at an affordable price. One item to start paying extra attention to is the exhaust fan. Listen to the sound when it’s running normally, then keep an eye on it. When it starts becoming noisy, that tells you that something is wrong. One potential cause is dirtiness. Grease and cooking oil vapors rise through the hood vent into the ductwork and out through the exhaust system, coating the stainless steel along the way. If there’s build up in vents, it may be starting to hinder the system’s performance. The other potential cause is a broken part. While we want the system parts to last forever, you usually only get a few years before they begin to break down. But, don’t worry. We have relationships with the top manufacturers of kitchen equipment, so we can get great prices on everything. Contact us today to schedule your free consultation (615) 235-0547. We look forward to your call.